According to Vietnam Immigration law, Egyptian passport holders wishing to enter and stay in Vietnam are required to have a valid Vietnam visa. How much does it cost to get Vietnam visa? For Egyptian who enter Vietnam already and wishing to stay in the country longer than visa’s duration without exiting, you are required to extend or renew for your Vietnam visa. So, how to extend Vietnam visa for Egyptian? 1. How to get Vietnam visa Extended for Egypt passport holder? To get Vietnam visa extension, your original passport will be required to submit to Vietnam Immigration Department for issuing visa. After processing time, Egyptian travelers will get your passport back with Vietnam visa extension sealed. Thus to use visa extension service, Egyptian passport holders should prepare your original passport and send to our office. As well as for citizens from other countries, the longest period Egyptian passport holders can extend is 3 month. Currently, Egyptian can extend for 1 month visa (single entry), 3 month single entry visa or 3 month multiple entries visa. The cost to extend for these visa types is various from each specific case. For exact quotation fee, Egyptian passport holders should contact our support team before going to our office. Please notice that waiting time to get visa extension is quite long. Normally, you need to wait for 5 to7 working days to get 1 month visa extended, and 8 to 10 working days to get 3 month visa extended. During waiting time, your original passport will be kept at Vietnam Immigration Department for processing. Thus Egyptian travelers should make sure that you will not use your passport to go to anywhere by airway. In brief, because procedure to get Vietnam visa extension is complicate and expensive, if Egyptian can exit Vietnam by any chance, when you re-enter, applying for new Vietnam visa is the best choice because of time-saving, money-saving and convenience. 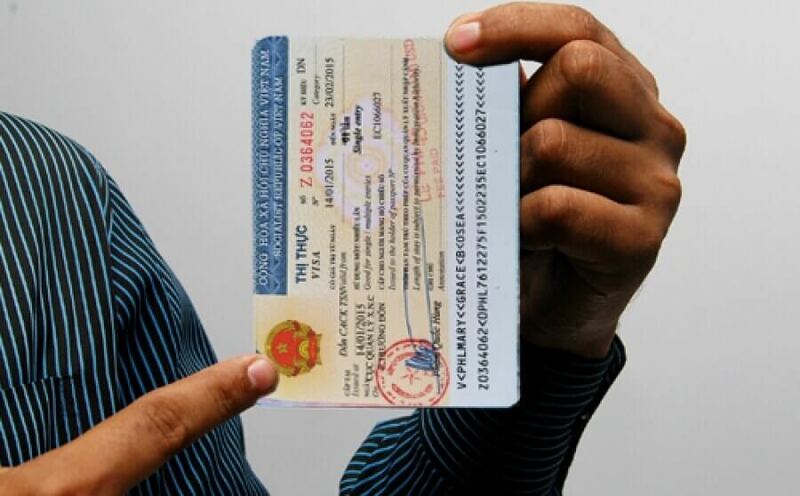 The whole procedure to apply for new visa just takes few minutes with submitting apply Vietnam visa form online and sending payment for visa fee. After 2 to 3 working days since completing visa requirement, Egyptian applicants will receive Vietnam visa approval letter granted by the Immigration Department of Vietnam that allows you to get Vietnam visa on arrival at Vietnam airport. For Egyptians wishing to stay in Vietnam without leaving the country, extend or renew your visa is still recommended. To stay in Vietnam longer than your Vietnam visa’s duration, Egyptian need to extend the visa. In some cases, it should be Vietnam visa renewal. Vietnam visa extension is a seal, and visa renewal is a new Vietnam visa stamped onto your passport. Both Vietnam visa extension and visa renewal are approved by Vietnam Immigration, and they are also legal. However, Vietnam visa renewal is always expensive than Vietnam visa extension as it can be extended easily for the next time. ← How much does it cost to get Vietnam visa from Egypt?